Before house-hunting ever begins, it is good to know just how much house the borrower can afford. By planning ahead, time will be saved in the long run and applying for loans that may be turned down and bidding on properties that cannot be obtained are avoided. Know what banks are the best ones to determine individual eligibility is very helpful information needed before even looking for a home. The old formula that was used to determine how much a borrower could afford was about three times the gross annual income. However, this formula has proven to not always be reliable. It is safer and more realistic to look at the individual budget and figure out how much money there is to spare and what the monthly payments on a new house will be. When figuring out what kind of mortgage payment one can afford, other factors such as taxes maintenance, insurance, and other expenses should be factored. Usually, lenders do not want borrowers having monthly payments exceeding more than 28% to 44% of the borrower’s monthly income. For those who have excellent credit, the lender may allow the payments to exceed 44%. To aid in this determination, banks and websites like this one offer mortgage calculators to assist in determining the mortgage payment that one can afford. For your convenience, here is a rate table displaying current mortgage rates in your area & the associated monthly payment amounts. If you adjust the loan amounts and hit the search button, the monthly payment numbers will automatically update. Lenders like to look at credit histories through a request to credit bureaus to make the borrower’s credit file available. This allows the lender to make a more informed decision regarding loan prequalification. Through the credit report, lenders acquire the borrower’s credit score, also called the FICO score and this information can be acquired from the major credit bureaus TransUnion, Experiean, and Equifax. The FICO score represents the statistical summary of data contained within the credit report. It includes bill payment history and the number of outstanding debts in comparison to the borrower’s income. The higher the borrower’s credit score, the easier it is to obtain a loan or to pre-qualify for a mortgage. If the borrower routinely pays bills late, then a lower credit score is expected. A lower score may persuade the lender to reject the application, require a large down payment, or assess a high interest rate in order to reduce the risk they are taking on the borrower. Many people have issues on their credit report which they are unaware of. Identity theft is a common problem in the United States & consumer debts are frequently sold into a shady industry. The first step in determining if you have any outstanding issues is to get a copy of your credit report. AnnualCreditReport.com allows you to see your credit reports from Experian, Equifax & TransUnion for free. While many other sites sell credit reports and scores, a good number of them use negative billing options and opt you into monthly charges which can be hard to remove. If you find errors in your credit report, you can dispute them using this free guide from the FTC. Visit AnnualCreditReport.com for your report & Credit Karma for your score. After basic calculations have been done and a financial statement has been completed, the borrower can ask the lender for a prequalification letter. What the prequalification letter states is that loan approval is likely based on credit history and income. Prequalifying lets the borrower know exactly how much can be borrowed and how much will be needed for a down payment. However, prequalification may not be sufficient in some situations. The borrower wants to be preapproved because it means that a specific loan amount is guaranteed. It is more binding and it means the lender has already performed a credit check and evaluated the financial situation, rather than rely on the borrowers own statements like what is done in prequalification. Preapproval means the lender will actually loan the money after an appraisal of the property and a purchase contract and title report has been drawn up. The borrower should write down, before deductions, the total gross amount received per month. The number in step 1 should be multiplied by .28. This is what most lenders will use as a guide to what the total housing costs are for the borrower. Depending on the percentage, a higher percentage may be used. The borrower writes down all monthly payments that extend beyond 11 months into the future. These can be installment loans, car loans, credit card payments, etc. The resulting number in the first step should be multiplied by .35. Total monthly debt should not exceed the resulting number. Is the credit score of the borrower considered to be good? Does the borrower have a recent bankruptcy, late payments, or collections? If so, is there an explanation? Are there excessive monthly payments? Are credit cards maxed out? 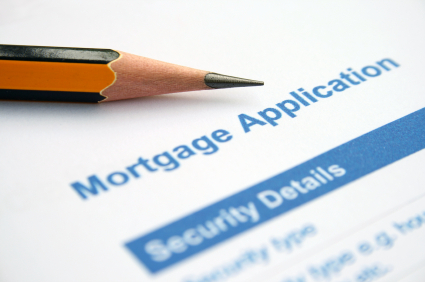 The answers to these questions can make a determination as far as the eligibility of a mortgage loan goes. If the loan would exceed the amount the property is worth, the lender will not loan the money. If the appraisal shows the property is worth less than the offer, the terms can sometimes be negotiated with the seller and the real estate agent representing the seller. Sometimes a borrower may even pay the difference between the loan and the sales price if they agree to purchase the home at the price that was originally offered to them. To do such a thing, the borrower needs to have disposable cash and should ask the question of whether or not the property is likely to hold its value. The borrower must also consider the type of loan they qualify for. If the borrower would need to move suddenly and the loan is larger than the value of the property, the loan can be a very difficult thing to pay off.